I dream of having a whole house of Pottery Barn items someday. The store is just so glorious. But, until that dream becomes a reality, my goal is to decorate our house in that style with little sprinkles of Pottery Barn items… at a much lower price. One area where we’ve done that – the family room. 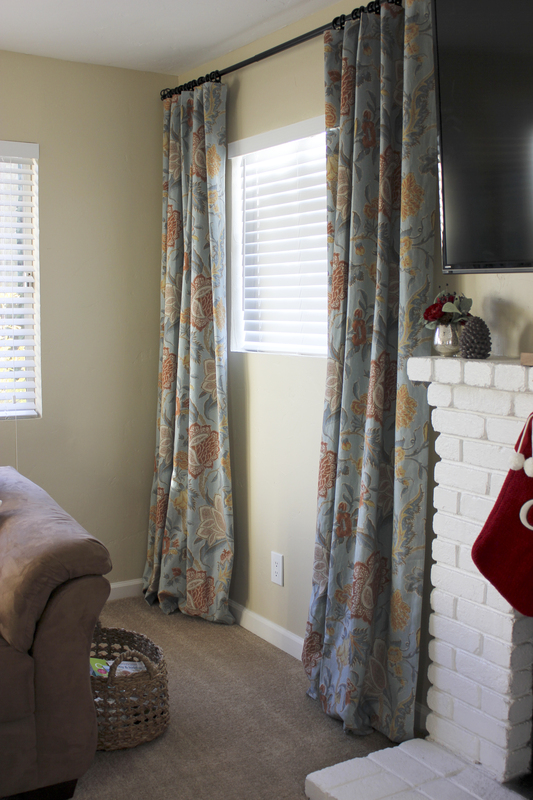 We knew pretty quickly that we wanted some beautiful drapes in the family room that would make the wall with the TV an accent wall and that would also soften up the area. I thought that by adding drapes, it would make the wall less about the monster sized TV and more about the overall feel of the room. We wanted to room to be cozy, inviting, and classic. I mentioned a few months ago that we ordered beautiful drapes from Pottery Barn (with a coupon -thanks Mom!) and were super excited to hang them up. 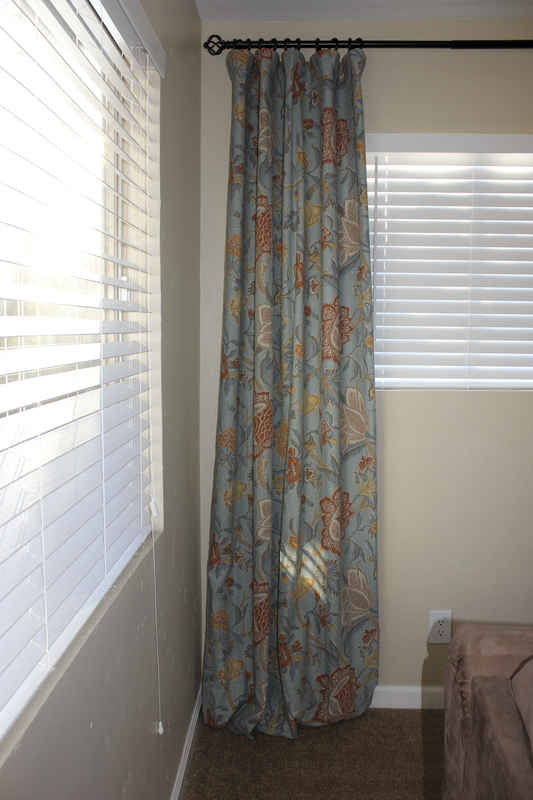 One of the hardest parts of the whole process was lining up both curtain rods to be at the same height. Since our house is older, our ceilings aren’t exactly level so we weren’t able to just measure from the top of the wall down. We had to carefully go back and forth measuring bottom to top, top to bottom, and any which way to make sure they were even. Then, we used a level to make sure the rods wouldn’t be lopsided. Once we were comfortable with that, we had to screw them in and hang them. We are not big fans of hanging curtain rods and get frustrated every time (not at each other, just at those stupid rods). It’s worth the effort though because they always end up looking wonderful at the end.